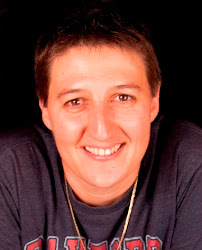 Personal blog of lesbian author, SR Silcox. Today's Sunday Sesh is brought to you by the wonderful people at Blue Sky Brewery in Cairns, and their FNQ Lager. Since the weather's so good here, I thought I'd try something a little bit different, and go a lager made in sunny Qld. This brew didn't disappoint. It's a pale lager, a little bit of froth on the pour that disappears quite quickly, and it goes down well. Very refreshing, a slightly bitter aftertaste, but would be easy to drink a couple of these too fast. Perfect beer for a hot day in the tropics. Dare I say it - a little bit of tropical sunshine in a bottle. I got this one from 1st Choice. I only really went there just to see whether they had anything different to my usual Dan Murphy's. The range was disappointing, however I'm glad we stopped in - I would never have discovered this all-round brew because Dan's doesn't stock it. It cost $2.99 for a stubby but if we go there again I think I might stump up for a carton, just to have this sitting in the fridge ready for summer. Since I'm feeling all summery and in a good mood, I thought I'd go a bit lighter on the Sunday Sesh today, and talk about something that only makes sense in summer in Australia. That's right - thongs. No, not the play-hide'n'seek-in-the-bum-crack type. I'm talking about the go-anywhere, slip-on-your-feet-and-you're-ready-for-a-night-out type. I love thongs. It's no secret amongst my friends and family. As soon as the sun feels hot enough for me to get a tan, I'm tossing the joggers and work shoes, and slipping on a pair of thongs. I'm a sucker for the Kustom variety at the moment - only because I get a new pair every year for Christmas (did I mention I love Christmas too?) But I am my father's daughter, and I love just picking up a pair of $2 double-pluggers from Big W or Target. In fact, Dad and I have been known to grab a couple at that price - you never know when you're going to have a blow-out. Plus, if you get a couple the same colour, if you lose or break just one, you can still wear the other one - you just replace the broken one with the new one from another pair. Crisis averted, and no good thong gets wasted. I go through them quite quickly since I wear them so much. I have a good pair, that I wear out to BBQ's and such, and a yard pair I use when I'm helping wifey with the outside jobs. Even wifey has her protective safety thongs for when she's mowing or working on the roof. There's so much to love about a piece of rubber with two little plasticy bits that sit on the bottom of your feet. I mean, could you imagine going to the beach in a pair of joggers and trying to get the sand out of them when you got home? It's thongs that separate us from the tourists - only a true Aussie understands that the only real way to be able to run across stinking hot sand and be able to get into the surf quickly is to wear thongs. Also, when you get home, just chuck on a pair of jeans, a nice shirt, slip on your thongs and you're ready for a night out at the local beer-garden. Get a drink spilt on your feet? No problem - take them out the back, wash them under the tap and they're good to go. Is there any other type of footwear you could wear when you're fishing, wading into the water to retrieve a tangled line, and still be able to wear home? Plus, if they slip off in the drink, you never lose them - they just float to the top. The only place I don't think I'd wear them is a fully-loaded cow paddock - they don't tend to be too good with the squishy stuff. However, again, if you do happen to stand in something you should've seen but didn't, wash them under the tap and you're away. And they've become quite a fashion statement for the ladies as well I've noticed. You can get all sorts of thongs with bling on them now, and for all occasions too. Take my wife, for example. Just have a guess what she wore for her wedding shoes. That's right - she wore a pair of blinged up thongs, and since she wanted to stay a little traditional, she bought them in white. Anyway, I'm hoping for another pair of thongs for Christmas again this year. My old ones are looking a bit worse for wear, and probably need to be consigned to the yard pair. I am due for a shopping trip though, so I might go and see whether there are any $2 double-pluggers on special yet. Highly opinionated, curious about everything, and lover of sports and good beer.